Toxic Exposure in the Workplace | Tomes & Hanratty P.C. One of the most devastating things that can happen to a person is when they go to work for decades, trying to make a living, only to suffer from the harmful effects of toxic material exposure years later. Decades ago, many people had no idea how harmful lead paint and asbestos was, and now they suffer from various illnesses that one should never face. It is also important to note that while illnesses from asbestos and lead paint are commonly associated with work in the construction field, they can happen to anyone. For example, if a school has asbestos that went untreated for years and a teacher taught in the same asbestos-filled room for years, they may suffer from the medical consequences. 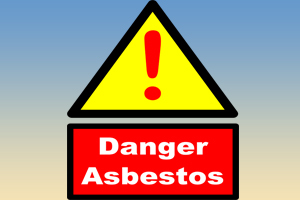 Exposure to asbestos is commonly linked to lung cancer and mesothelioma. If an individual is able to prove that their exposure to toxic materials caused an illness, they may be able to bring a lawsuit against the liable party. While compensation cannot fix the traumatic impacts that these awful illnesses have, it can at least reduce some of the financial burdens such as medical bills, lost wages, and more. If you or a loved one fell ill due to toxic material exposure, contact our firm today to discuss your case.